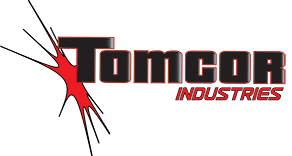 Tomcor is your full-service powder paint experts providing appliance-grade and industrial-grade finishing. Located in Wausau, Wisconsin, we leverage our industry experience to provide you with the highest-quality finishes, delivered on time, at the most competitive prices around. By using several unique process features combined with stringent controls, we maintain a higher level of standards you won't find in conventional systems. No other facility in central Wisconsin provides appliance-grade finishes. And no one else in the industry has our Clean-Cor™ pretreatment, delivering exceptional quality through and through. Whether coating components for medical, automotive, furniture, or a wide variety of manufacturing industries, customers rely on us for performance, quality and service they just can't find anywhere else. Put our superior powder-coating system to work for your parts and get the quality you demand.